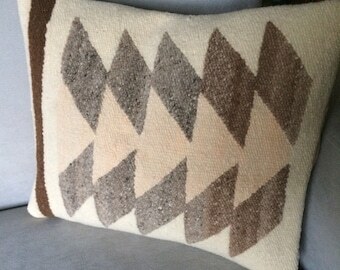 Handwoven throw pillow in tan, brown and off white in a geometric woven pattern. 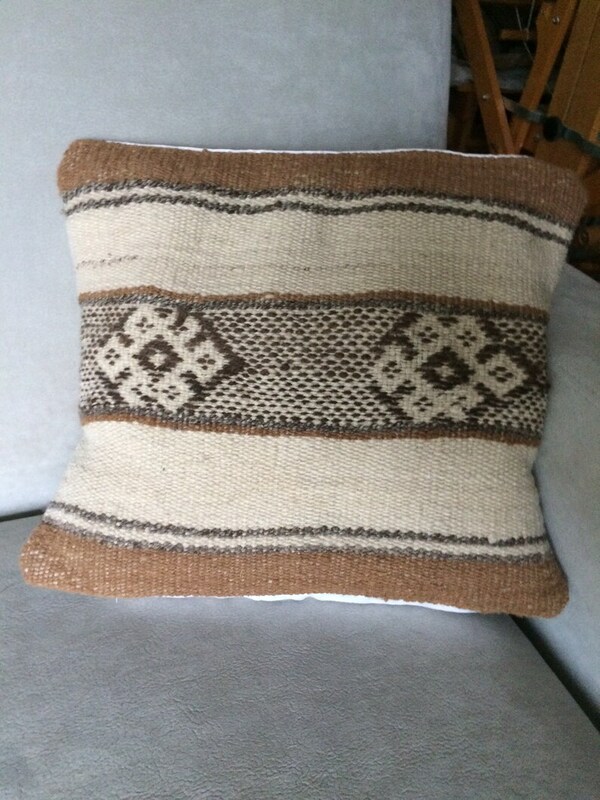 Wool pillow with white cotton overlapping back. This will make it easy to remove the pillow insert if you need to clean the pillow.